Whenever I read the most recent health news, watch the news regarding health issues, or simply browse online, I usually come across information about type 2 diabetes. The reason for this is quite simple: this disease is considered a global pandemic, so it is getting a great deal of attention. In my opinion, this is completely justifiable, given the impact this disease is continuing to have on the U.S. population. What people understand about diabetes, in a general sense, is that it is linked to excessive weight gain and obesity. 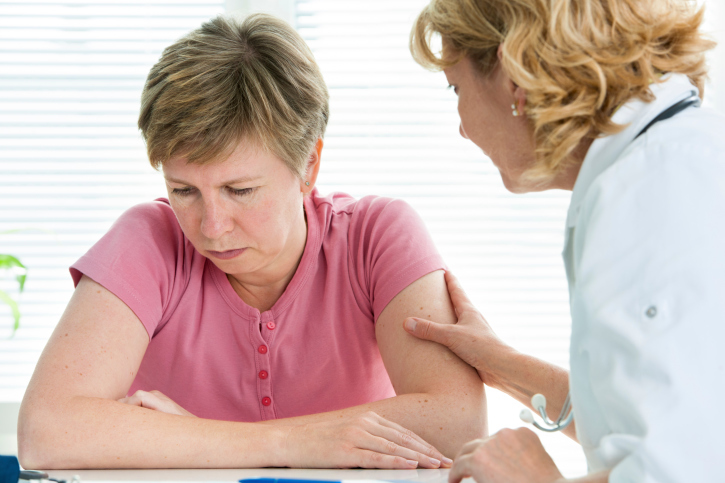 However, did you know that type 2 diabetes has also been associated with depression? It has been previously understood for some time that folks who are overweight or obese and are subsequently diagnosed with diabetes are more likely to also suffer from depression. The people who experience both conditions also tend to be more afflicted and suffer further complications. This was considered to be part and parcel of the chronic condition itself and was attributed to lower quality of life scores. As a comorbid condition, depression can be devastating; it can greatly affect the health and well being of anyone who experiences it. But now, some new research may be able to shed some light on this association between type 2 diabetes and depression. This new information suggests that in patients who have diabetes and depression, blood levels of inflammation tend to be higher than those of patients who suffer from diabetes alone. This fact could explain why diabetics who suffer from depression tend to be sicker. This study involved the assessment of 1,227 participants with type 2 diabetes, including blood work, psychological testing, and tests for cardiac and vascular function. The researchers demonstrated that the participants who also suffered from depression were also more likely to have a larger body mass index, poorer levels of cardiac and vascular functioning, and higher blood markers for inflammation. In addition, after controlling for the participants’ age, gender, body weight, and medication use, markers for inflammation remained closely linked to depression in the participants who experienced it. This is important information going forward regarding older folks who suffer from diabetes because they have a death rate that is twice as high compared to people who have diabetes and do not experience depression. It is also important to understand that depression is not a consequence of the disease of diabetes but may be part of the disease itself. In my opinion, the higher levels of complications associated with patients who have diabetes and depression are related to the inflammation itself. These patients tend to do worse because the higher levels of inflammation drive the destructive processes inside their organs and arteries, causing the damage associated with diabetes. The same can be said for the brain itself. Higher levels of inflammation inside the brain are known to be destructive to brain cell function and blood flow, and could greatly contribute to depression. As a disorder, depression has been previously shown to be responsive to nutritional interventions, including the use of omega-3 fats and certain antioxidants that quell inflammation. In my view, diabetes is a systemic, inflammatory disorder, which can affect literally every part of the human body. This new research is showing us just how pervasive this disease can really be. Cohen, R., “Inflammation may help explain depression, diabetes link,” Reuters web site, June 6, 2014; http://www.reuters.com/article/2014/06/06/us-diabetes-depression-idUSKBN0EH1P720140606. Laake, J.P., et al., “The Association Between Depressive Symptoms and Systemic Inflammation in People With Type 2 Diabetes: Findings From the South London Diabetes Study,” Diabetes Care May 19, 2014; doi: 10.2337/dc13-2522.